Parked at a a double gate at W054 647 A, just north of Gowlane Bridge on the road west of Conigar in the Borlin Valley (space for a single car). Hopping the gate, a farm track pointed the way uphill for a short distance. I aimed for the left of a low band of cliff on the horizon. 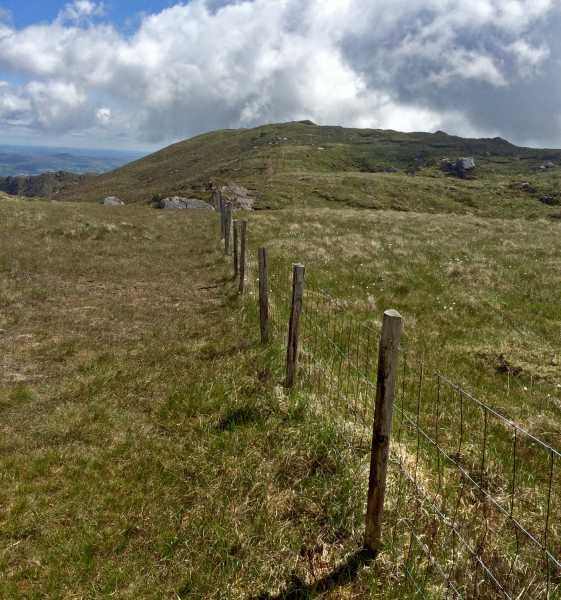 A handy fence provided a guide over Conigar’s NE shoulder. Descending on the other side, I passed tiny Lough Glas, and continuing alongside a fence, passing the even smaller (and curiously named) Lough Namrat. At this point I realised there were trail markers for a track running alongside the fence - the Beara Breifne Way - as a small sign later indicated. And several hundred metres ahead I could see another walker crossing the summit of Foilastookeen. It wasn't too difficult a climb to the summit - a broad area of heather and rocky outcrops. 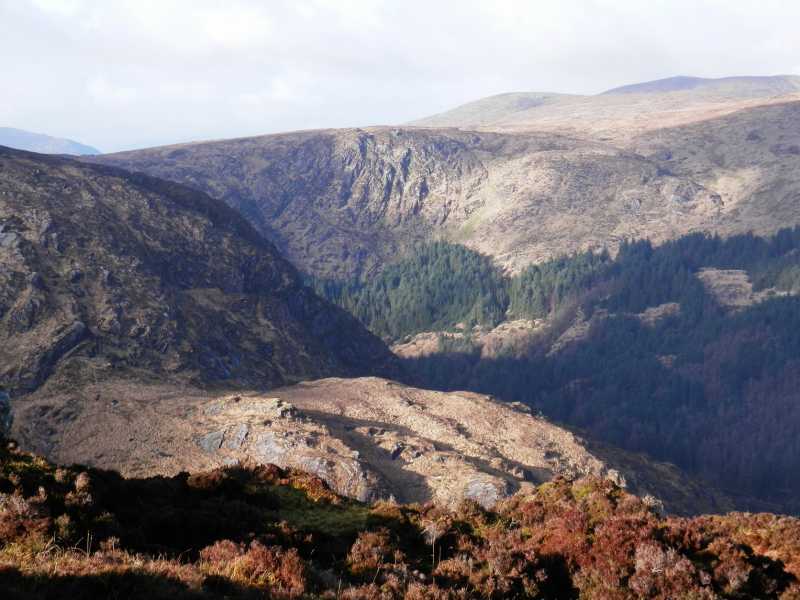 And grand views, especially north where steep cliffs drop down to Gougane Barra.